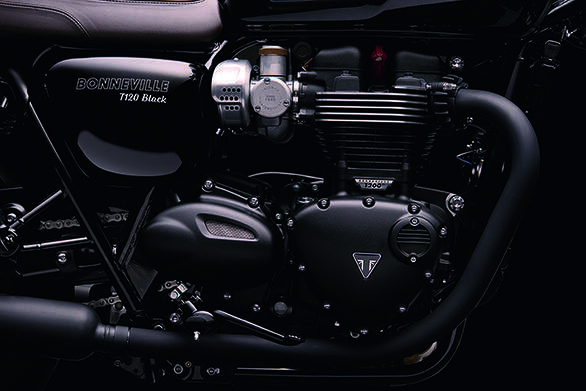 The Triumph T120 and its cosmetic cousin, the T120 Black boast a lower state of the tune for the new 1200cc parallel twin. 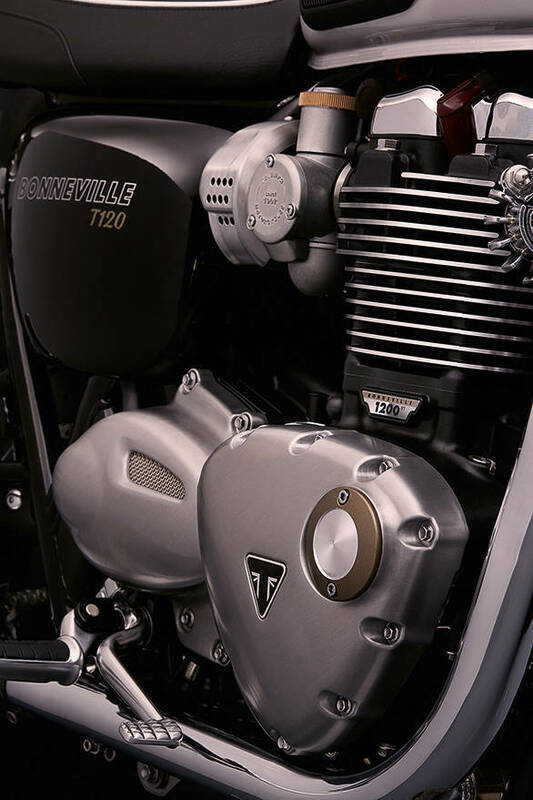 Making 105Nm at 3,100rpm, that's fully 54 per cent more torque than the current T100. 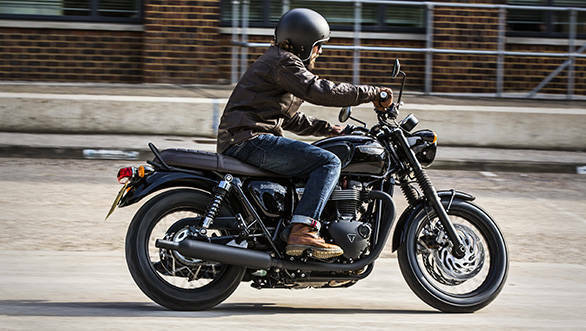 Like the Street Twin, the T120 also has ride-by-wire, ABS and Rain and Road modes for traction control. 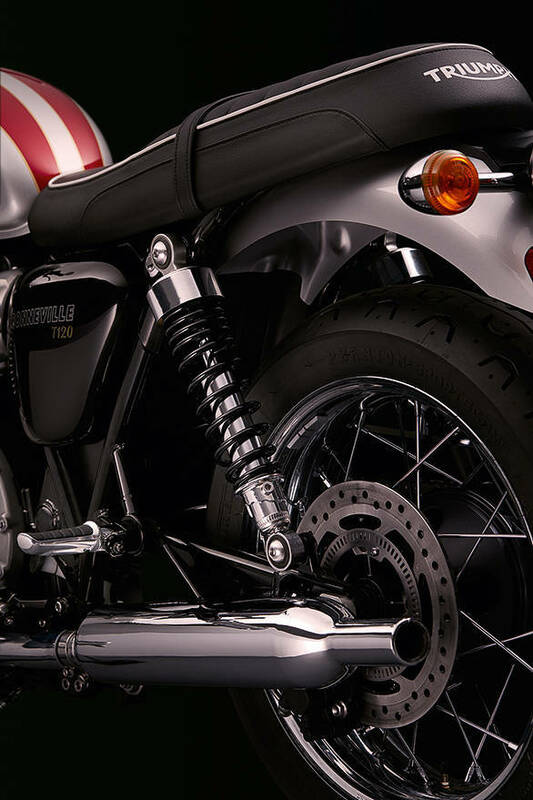 In rain mode, the ECU opens the throttle butterflies more progressively to give a more controlled feel without restricting flat-out power. 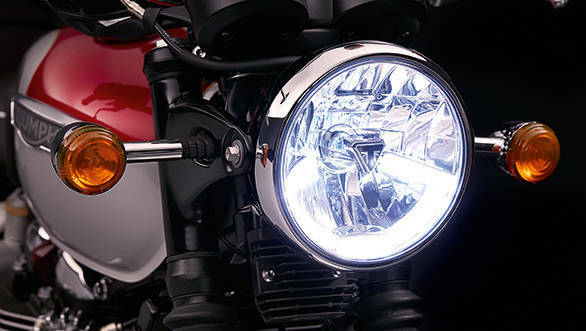 Visually, the Triumph T120 is distinguished by a smart new headlight that uses a clear front glass (well, polycarbonate) and an LED daytime running light. 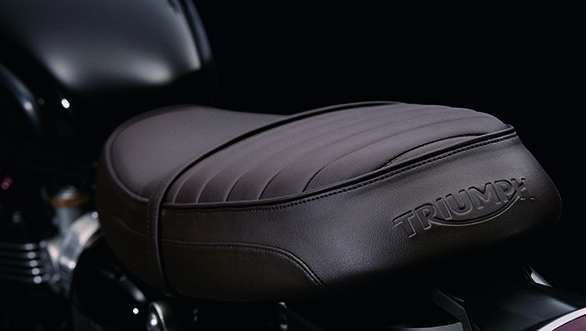 Triumph says the heated grips are now standard. 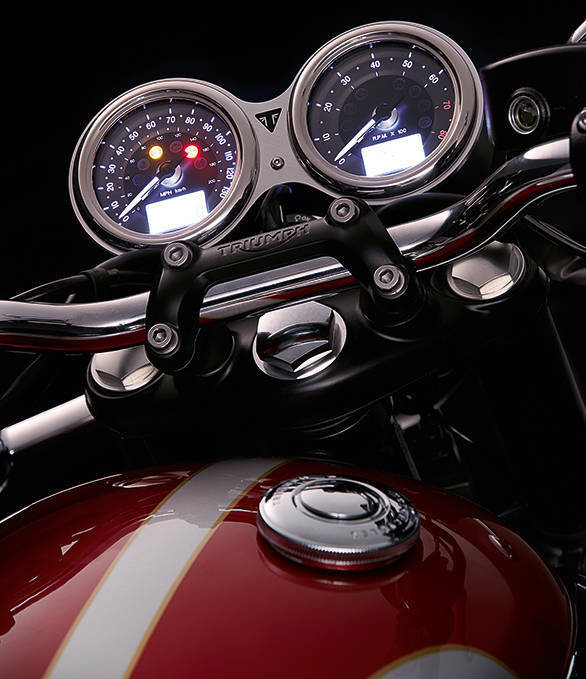 Twin clocks show analog speed and tacho readouts with twin LCD screens showing the ride modes, clock, two trips, gear position and more. Cruise control is optional. 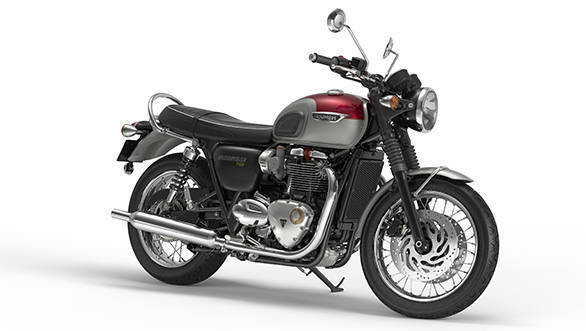 Like the engine, the Triumph T120 also uses a slightly different chassis setup. 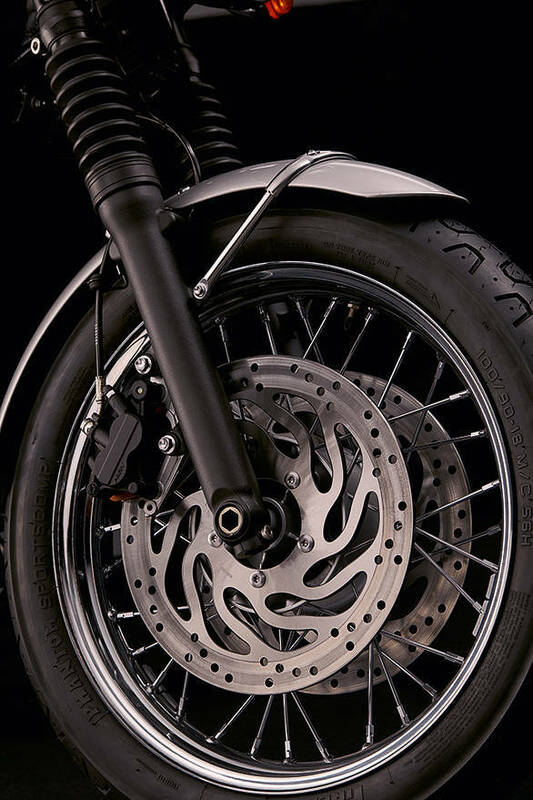 Wood explained that the base chassis is the same but small changes to offset, tyres and their profiles etc can make big differences in how the bikes feel to the riders. 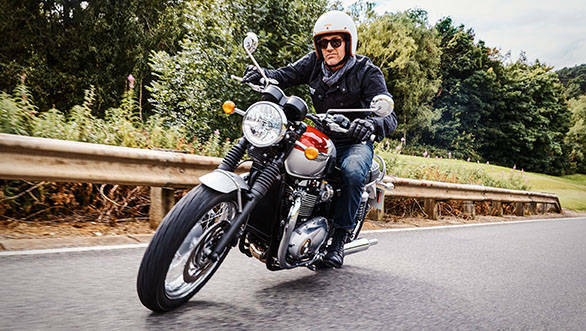 The T120 is set up for an upright, relaxed riding position while the Street Twin is slightly more canted forward and sporty. 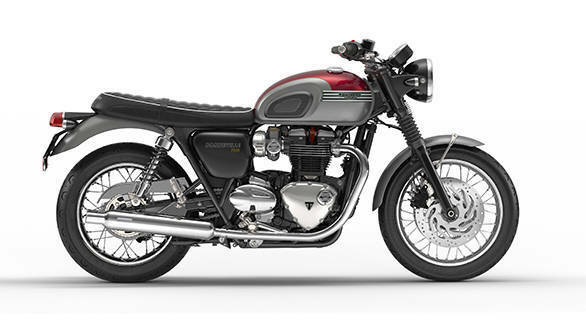 The Triumph T120 also has a centre stand, twin-skinned exhausts shaped into peashooter-style end cans (twin skins prevent heat from blueing the exhaust's chrome). 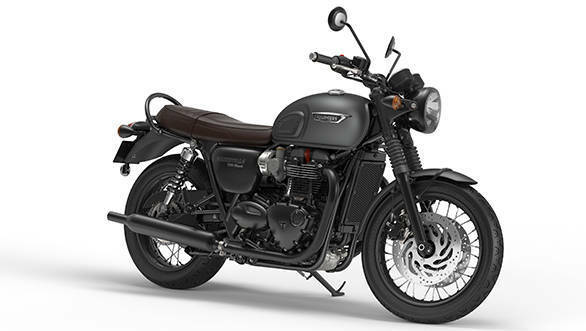 While the T120 comes in a selection of single and twin-tone colours, the Black comes in black and a nice matte grey colour.